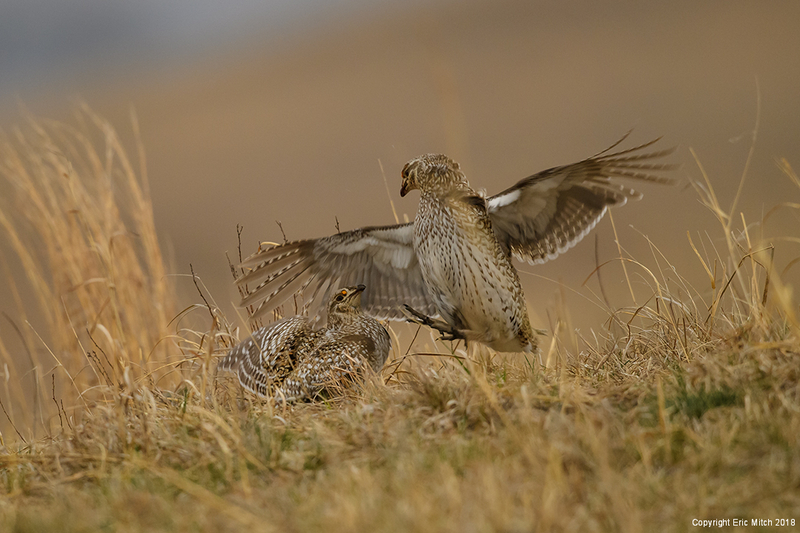 On our second morning in Burwell, Nebraska at Calamus Outfitters, we were not hoping for much with the sharp-tailed grouse because of high 20-30 mph winds and rain in the forecast. As with other prairie chickens (like the Greater Prairie Chicken), the “sharpies” perform a dance display for the females on their leks and also “fight” to determine the dominant males. This morning, because of the high winds, the grouse hugged the ground most of the time. As the light came up, the males started their dance and a few jousts ensued before we packed it in for the day. Taken with the Nikon D5 and Nikkor 800mm f/5.6. This entry was posted in Travel, Wildlife.